In my three years at Yeshiva University, I’ve heard much talk about the “anonymous gay article,” painfully honest and crucial for the student bodies of both campuses to understand the struggles of gay, closeted Orthodox Jews. Back when I was more closeted, I always fancied writing one myself, as homosexuality and coming out played a central role in my adult development. However, I didn’t really have much to add to the preceding articles; my experiences are pretty tame compared to some people I know. Now that I am no longer closeted, thanks to a number of very supportive friends and a poem I published in YU’s Journal of Fine Arts, I believe YU might benefit from hearing my voice and my experiences. I believe this not despite my relatively easy experience, but precisely because my experience breaks from the trend of a troubled or painful coming out narrative. Honestly, I had it pretty good compared to other closeted guys. I never really considered reparative therapy as an option; except for the week I spent researching it online. I very quickly discovered that the American Psychological Association’s research demonstrates its harmful effects outweighing its very, very limited and erratic successes. I know others who joined JONAH (Jews Offering New Alternatives to Homosexuality), which at its least harmful, delayed their coming out by a couple of years and, at its most harmful, provided some really horrific experiences such as public humiliation. Mostly everyone I’ve told, family and friends, have been supportive. I was already becoming friendly with YU’s progressive crowd (which has been jokingly called the “YU underground”) and they were certainly well disposed to my orientation. However, I think it’s safe to assume that coming out for the first time is always a challenging experience, no matter how supportive one’s friends and family are. I’m not sure if many people really understand what coming out really is, and why it’s such a challenging and often confusing experience. In my experience, it isn’t simply letting another person in on your secret. I’d be willing to guess that for most gay people coming out acts as a way to concretize their orientation, to discover whether one of a myriad of labels (and please forgive me if I miss one: lesbian, gay, bisexual, transgender, or queer) fit their experience. I remember when I first came out to a friend when I was 20, I wasn’t comfortable using the word “gay,” and I would only assert that I had an attraction towards men and that I wasn’t sure about women. The identity didn’t feel right because I hadn’t said it before or discussed it much. But the more I discussed my sexuality, the more I discovered who I was. And I was stone-cold gay. And after coming out to that first friend, it didn’t take much for things to progress much quicker than I expected. After the first few terrifying times, I got coming out down to a science. Usually I preferred it quick and casual, a brief ‘by the way, in case you haven’t heard yet…’ which caused equally casual reactions (apparently no one was shocked). But I even began having fun with it, which occasionally lead to some pretty awkward stories. One time a friend convinced me to literally get into a closet and surprise another friend by clambering out of it, not realizing how tacky that was. The friend wasn’t amused by my antics, and I got an earful that night about how she didn’t care whether I was gay and how I didn’t need to dramatize anything for her or anyone else. After maybe three or four months, I was basically out. I reached the point where I didn’t need to tell anyone anymore. The newfound tightness of my pants unsurprisingly did a lot of the work for me, helping predispose people I met to the right conclusions, a benefit of dangerous stereotyping. And my friends picked up the slack, with many hilarious gay jokes and, when that failed, bluntly telling people of my preference towards men. No mention of it would go on Facebook or any other public environment. But everyone knew. Now that I was out, I discovered a whole bunch of things I’m glad I hadn’t previously discovered, specifically that I was outed a few times fairly early on. It was by friends to a couple of friends I had told anyway, so I really didn’t feel wronged in any way. Here’s the thing about being outed: it was one of those thoughts that terrified me, until it actually happened. I realized it wasn’t really a big deal. Nothing bad came of it. And no one thought any less of me. However, there were also many more obviously rewarding experiences to being mostly out among my group of friends. Without saying a word, I singlehandedly made a couple friends conscious of their emasculating and derogatory usage of the word “gay,” and watched them remove it from their vocabulary. I understand that word’s derogatory usage is still fairly common around YU. I’m never offended when I hear it, though it always makes my eyes roll. But the fact that my friends were more sensitive to my needs than I was and that they were willing to eliminate a very commonly used word from their vocabulary in order to make me more comfortable was meaningful. One time a friend, who recently found out I was gay, visited from out of town. He was talking as he normally did, and he just started calling something “gay,” when he stopped mid-syllable and used a different word instead. The gesture was appreciated. I didn’t say anything, but smiled. I know we aren’t used to seeing many gay people around campus. There are few enough of us here, and most of us aren’t really visible. But I think with all of the important anonymous gay articles of the past that detail the struggles that differentiate us, people forget that we really want the same things as everybody else. We want good jobs; we want to marry people we like; we want good families and friends. And thanks to many of you I think we’re beginning to feel comfortable enough to achieve those goals in our YU and post-YU communities. 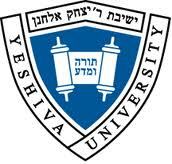 Certainly, there are many elements in Yeshiva University that make me uncomfortable, particularly a few of the Caf’s more homophobic Seudah-Shlishit speakers and certain Roshei Yeshiva. But so far I’ve been able to ignore these negative elements in my YU experience, and focus on the variety of positive ones, like a very supportive faculty, various campus offices that have been very helpful (specifically Housing and the Counseling Center), and most of all the open-mindedness and nonchalance of the student body. I could selfishly see this letter as a testament to how much I’ve grown over the past few years, which (not to toot my own horn) would certainly be a truthful approach. But, honestly, I prefer to see this letter as a testament to how much the YU student body has grown, from a place where students wrote pained anonymous gay articles, to a place where students can openly and positively write about their coming out experiences.